June 16th we will be turning 1 years old!!! 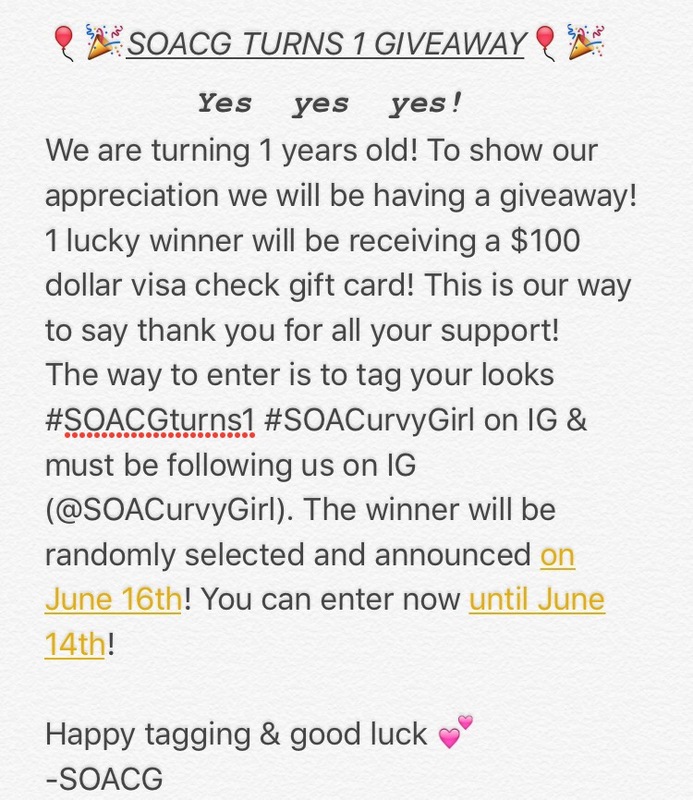 In celebration of the wonderful year we’ve been having, there will be a GIVEAWAY!!!!!! 🙌🏾😎😩🙌🏾 Get the details below! Happy Year 1! I’m entering the contest today! Thank you boo! June 16th we going up!! 😎 yessss enter!! !